While we wait for the ice and snow to melt, we can all at least dream of getting back on the road. 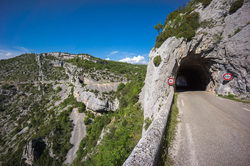 Here are some slideshows of our favorite routes in Provence and some highlights from cycling weeks that two different groups of 12 spent in Provence, Girona in NE Spain and in Mallorca. 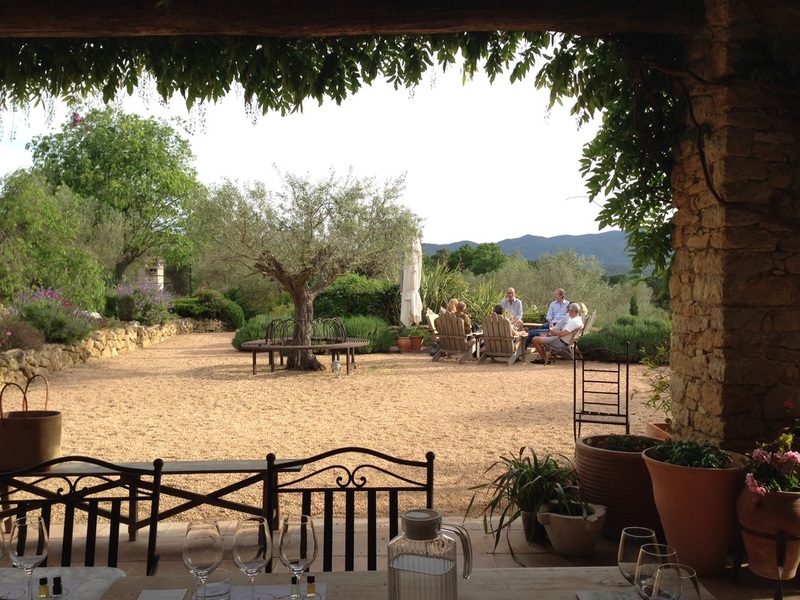 A group of 12 friends, 6 couples, shared a fabulous week in early May near Girona in Spain. "Sorry for the delay in sending you a thank you email for a spectacular trip. The villa was an incredible home base to our rides, Maria, Alvaro and Rosaro all fantastic hosts for our stay. Bikes were great, weather cooperated, etc etc etc. Would love to go back and thanks again" Dave R.
One of our favorite rides. It's hyper scenic, runs through these cool tunnels and has such a gentle grade that anyone can handle it. 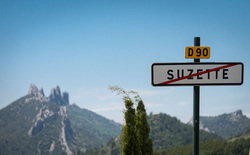 You can either do the full route to Sault or just take coffee at Monnieux, turn around and whiz back home. Ahh, the Giant of Provence. 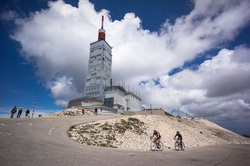 The typical Tour de France route from Bedoin is 22km (14 miles) with a relentless 7.4% average grade. We hosted a group of 6 couples of mixed cycling levels at one of our prestige villas, Bastide de Ventoux. They kindly allowed us to share some of their pictures.